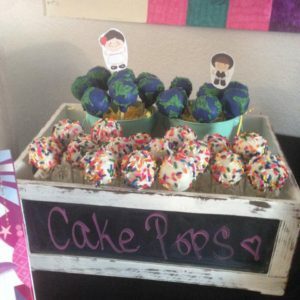 Did you know that Hidden Gem Cakes started out as a cake pop business before we started making cakes and cupcakes too? 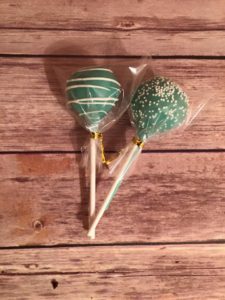 Cake pops are our specialty!! 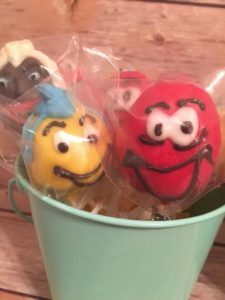 Because we make cake pops the old fashioned way with freshly baked cake and a bit of frosting or other binding component, we are able to create any shape, character, or design that your heart desires. 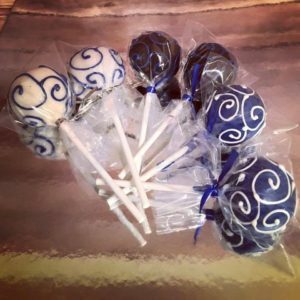 Cake pops are a wonderful way to personalize and add to your event. 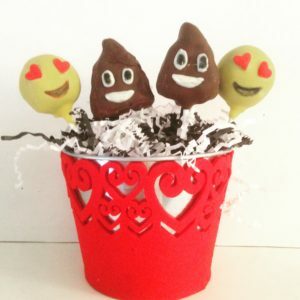 They serve as both a sweet dessert, and a party favor! 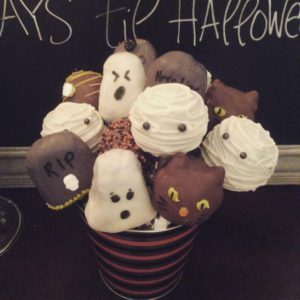 Everyone goes crazy for cake pops. 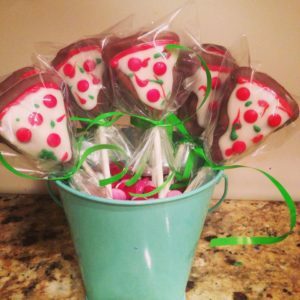 We have the best and most creative cake pops in Phoenix, and we offer cake pop delivery in North Phoenix, Central Phoenix, Paradise Valley, Moon Valley, Glendale, and Desert Ridge to name just a few. 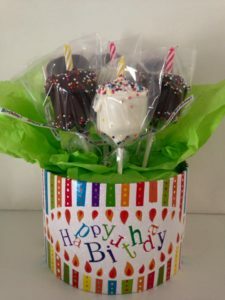 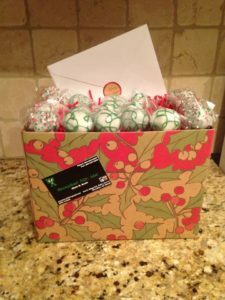 Cake pops make great gifts as well, and at Hidden Gem Cakes in North Phoenix you can order cake pop gift baskets, buckets, or bouquets. 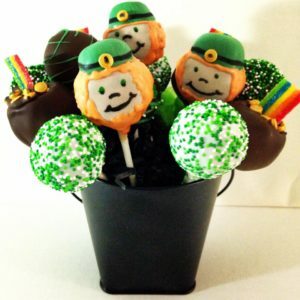 Check out some of our past cake pop creations, and then give us a call to place your order.